Here are a few shots of some garden spider sculptures that have come out of the shop. 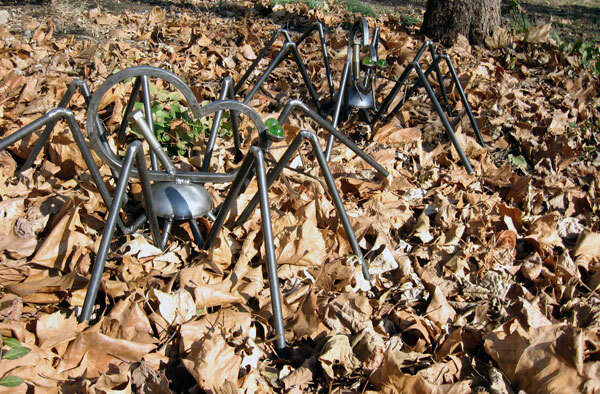 These leggy metal arachnids are about 2-feet wide and 18-inches tall. Perfect for keeping a lookout in your garden.